Desti Youth Park(Chengdu), Chengdu, Chiny : Rezerwuj teraz! 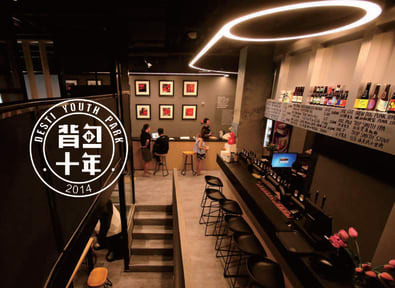 Desti Youth Park（Chengdu） opened in June 2018 and we have already opened two branches in Shangri-La and Lijiang. We hope to be able to redefine youth hostels and bring a revolution to the youth hostel community. We are committed to providing you with the high-quality service and facilities of the star hotel, creating the youngest and most vibrant atmosphere in order to allow you to fully participate in our hotel culture and enjoy our services. In order to meet the needs of different travelers, we offer a variety of room types and a range of facilities to increase your satisfaction. Our beds are made of logs, with an independent bookshelf, power plugs, and a hanger. With convenient transportation, we are only a few steps away from Chengdu’s landmark Tianfu Square. The metro station is only 700 meters away. There is a direct subway to and from the airport and the train station. The shuttle bus from the airport is only 3 stops away. By the way, the enthusiastic staff will provide you with warm services to help you plan your route. At the end of the day of fun in the city，you can go back to the hostel and wash away fatigue, our bathrooms, and shower rooms are equipped with hardware facilities of star hotels. Then enjoy all the recreation facilities we prepared for you. You can order a beer or coffee in the craft brewery on the first floor, make yourself a party animal in the lively hall. Or go to the common room on the second floor and browse through various picture album and books. You can also visit the video room to watch a carefully selected movie we choose for you.